Mmm…maple…yum!!! Anything maple is definitely iconically Canadian thanks to our nation’s flag and our beautiful maple trees; the source of this sweet, sweet nectar. Though I’m pretty sure that donuts were not invented in Canada; thanks to Tim Horton's they sure do seem like a popularly known Canadian treat. Drizzle some of that sweet maple flavoured icing onto a soft, fluffy donut and muah! 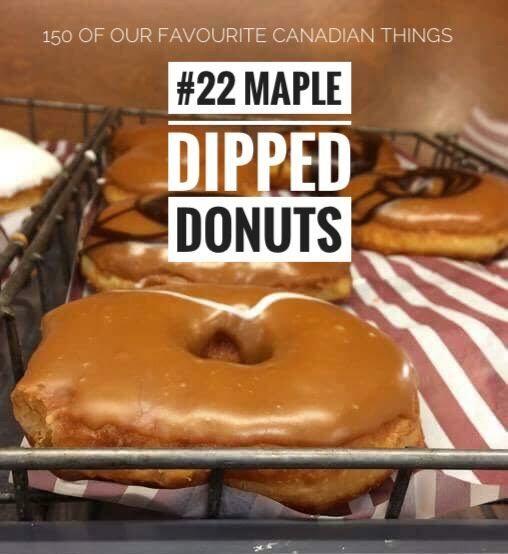 You have a delicious perfectly Canadian, portable dessert; the maple dipped donut which is one of my favourites. 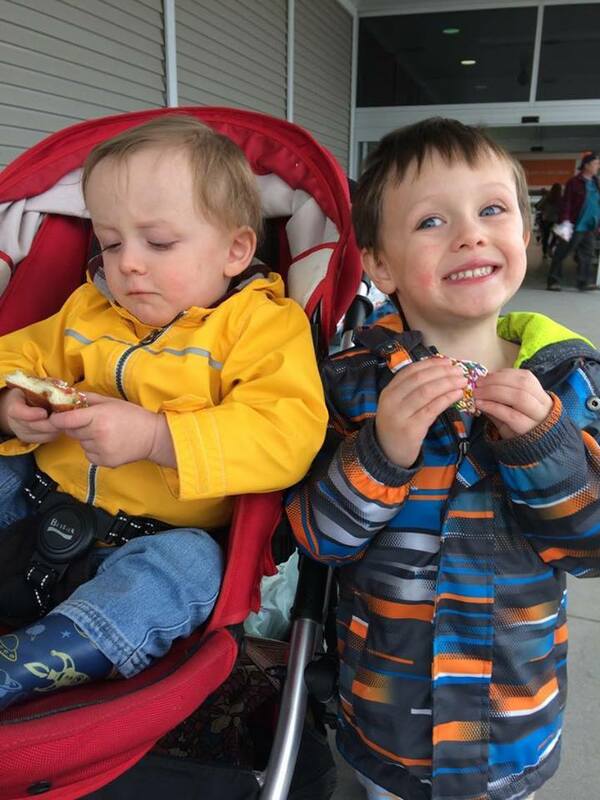 These two cuties (Russell, left and Wesley, right) sure do enjoy their maple dipped donuts from Zehrs Markets, Alliston. If you are wondering why the donut they are eating doesn’t look like a maple dipped donut, they chose the sprinkled version; now who doesn’t like sprinkles!